Photographing a bride and groom’s final exit is one of my favorite moments of a wedding day, and I knew I wanted to make mine unforgettable! So how did I accomplish those stunning photos? We had confetti canons on the dance floor during our last song, sparklers for our guests to hold, a getaway boat, and fireworks! Usually couples have only 1 opportunity for fun exit photos. But who’s to say that has to be the rule? It’s your wedding day, so make up your own rules! You can have as many exit photo opportunities as you choose. This is the most popular way to get a fun shot, and I can’t think of a better way to leave your reception that through a screaming tunnel of your guests! It’s exhilarating. Whether you decide to do sparklers, confetti, ribbons or rose petals, you will want to RUN because it’s exciting, but I can not tell you enough, please don’t run. Hold hands, walk slow and take it all in. 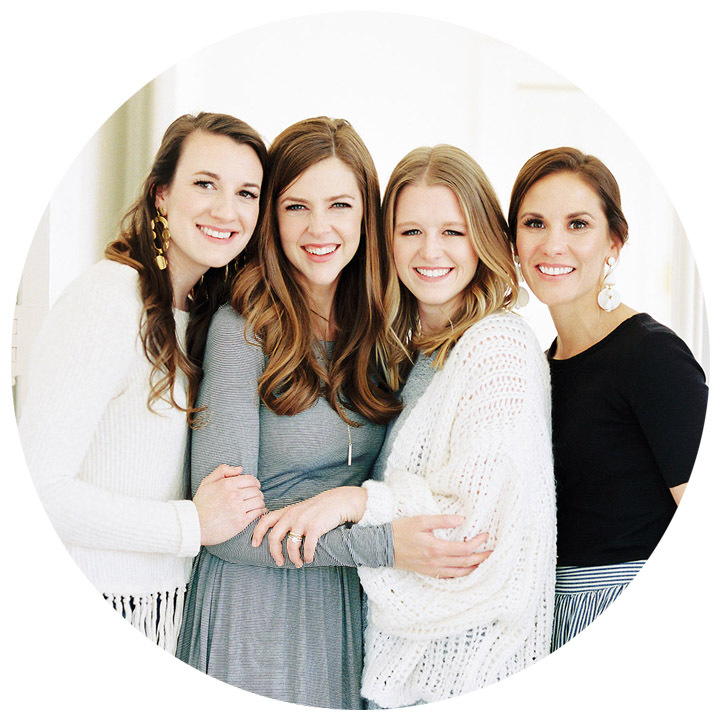 Your photographer will have more time to get more shots and to be creative if you move slower. Ask your planner to make the tunnel as long as possible, depending on how many guests you have at your wedding. This will also give you more time and a longer cat walk. 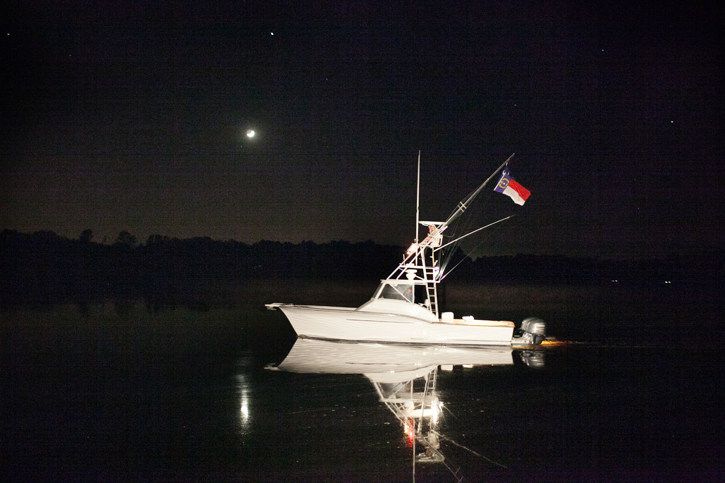 Because Jamie and I were married on the water, and because Jamie loves boats, I knew it would be so fun and make for some awesome pictures if we left on a beautiful sport fishing boat. Whether you leave in a vintage car, boat, pedicab, or your own car that has been decorated by your bridal party, think about what makes most sense and communicate your decision with your photographer. They will need to plan for the lighting depending on the situation. If you are not able to have your photographer stay throughout the end of your wedding, there are alternative ways to create an exit shot without ending your reception early. We’ve worked with several brides and grooms who want to dance until 1am, but are okay with us leaving at 10pm. Here are some options for couples who want that fun exit shot but don’t need their photographer to stay late into the evening. Create a exit tunnel and do your exit as you would at the end of the night, but instead of leaving, go back into your reception and finish the night. This will allow for you to get those exit shots without paying for your photographer to stay for additional hours of endless dancing. 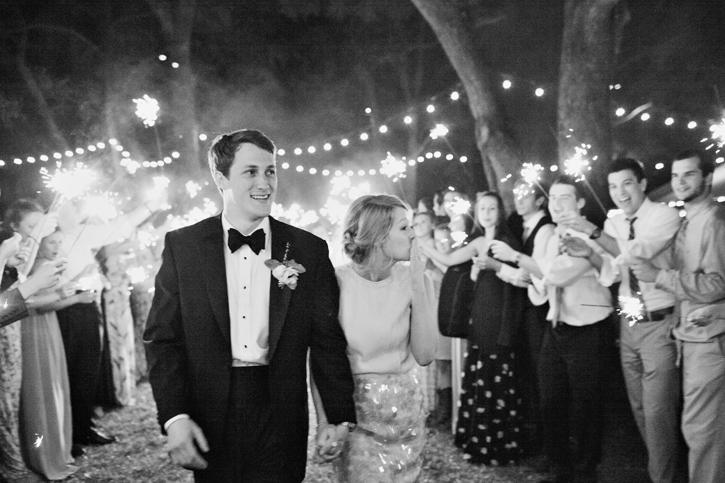 This is an especially good option for brides and grooms who really love to party! 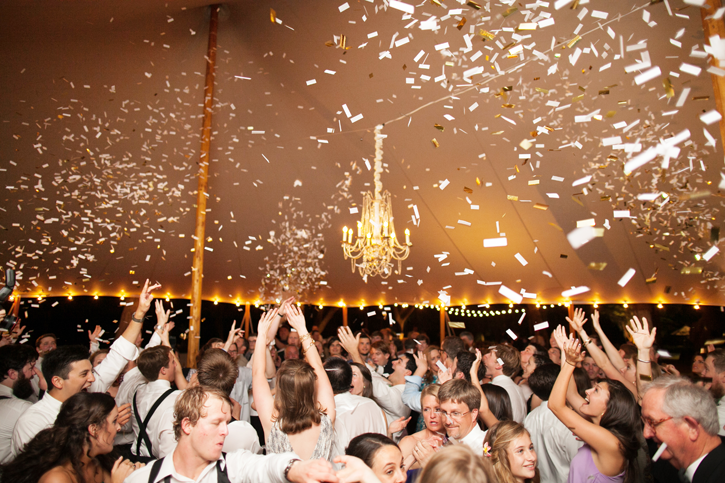 I purchased four confetti canons and had our wedding planners shoot them on the dance floor during the last song of the night. It surprised our guests and made for some awesome pictures. If you can’t have your photographer stay until the end and don’t want to stage your exit, this is a great alternative. Check out this snowy exit on the dance floor; one of my favorites! Don’t be afraid to be creative and keep your guests in mind because who doesn’t love a fun surprise? We photograph countless couples who have all of their guests throw birdseed or confetti as they walk down the aisle of the church after they kiss! Or rose petals or lavender as they leave the front doors of their wedding chapel! This is another opportunity to get that fun photo you are hoping for. What is the most creative exit shot you have ever seen?